Harare – Zimbabwe’s tourism sector is enjoying a rebound with visitors returning in hordes to see the majestic Victoria Falls following two decades of stagnation. Back in the 1990s nearly 200 000 people were checking in at ticket office to see the Victoria Falls every year and this dramatically changed when the opposition party, Movement for Democratic Change (MDC) nearly won elections in 2000. 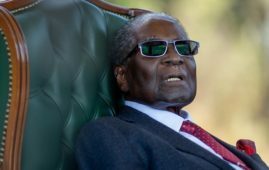 In retaliation, former President Robert Mugabe sent veterans of the liberation struggle on a campaign of land invasions of more than 4,000 white-owned farms dubbed the Land Reform Programme. 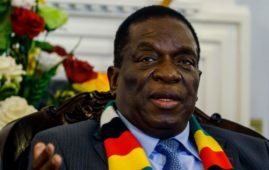 Subsequently, the economy collapsed as thousands of political activists were killed or skipped the country leading to the imposition of sanctions by Western countries and tourists began to give the country a wide berth. According to statistics from the Zimbabwe Tourism Authority and the Parks and Wildlife Management Authority visitor numbers went down to 25 000 by 2008. Now, eight months after Mugabe’s 37-year rule ended after a military intervention, the Falls are once again seeing a surge in visitors from Britain – and locals say they are hoping for a return to the glory days when it was one of the most important destinations in Africa. Many operators say they believe British tourists stayed away for “ethical” reasons when political violence erupted in the early 2000s, however it is not just Brits who are trickling in now. Reports indicates that wealthy Chinese tourists are also arriving in increasing numbers, and some “billionaires”, as the locals call them, arrive in their own aircraft. Tourism minister, Priscilla Mupfumira recently said foreign visitors to Victoria Falls jumped nearly 50 percent in the first quarter of this year compared with the same period in 2017. “We were in a closed period for a long time. We closed ourselves in, doors were locked. “There are good vibes from the industry and from the international world — everybody is so positive,” she said. 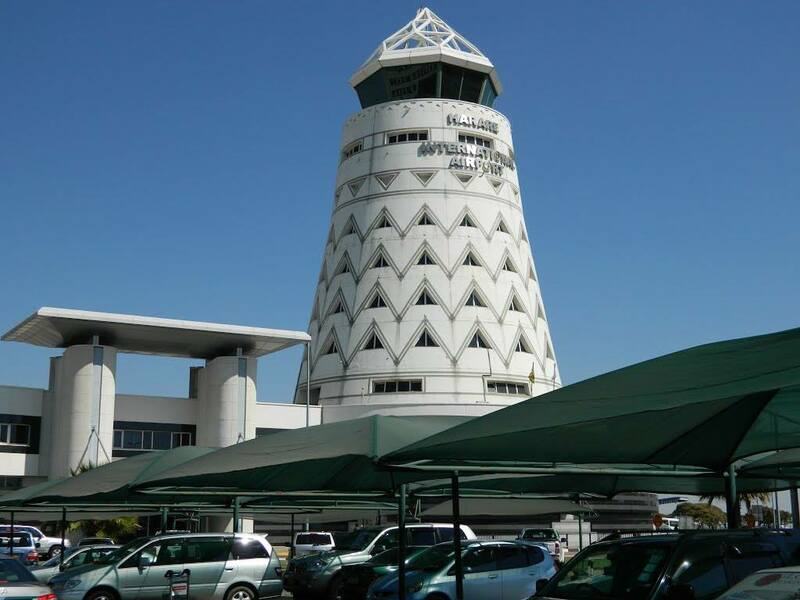 Additionally, Kenya Airways and Ethiopian Airlines now fly direct to Victoria Falls’s new airport. Political and economic turmoil under long time autocratic ruler Robert Mugabe had wrecked the sector, but authorities and tourism operators now believe the industry has a new lease of life. 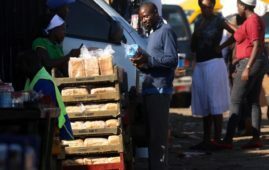 With Zimbabwe’s economy still in tatters, an influx of tourists is expected to help bring in desperately needed revenue, with the sector already contributing around 10 percent to GDP. 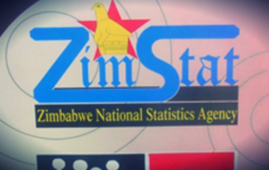 However, visiting Zimbabwe is still generally more expensive compared with neighbouring countries. 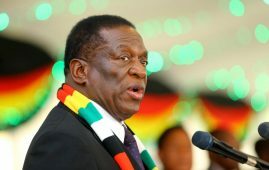 President Emmerson Mnangagwa has vowed to hold a clean election next week as proof of the country’s fresh start but many critics say the same ZANU-PF party chiefs still call the shots. 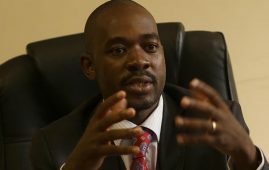 Analysts point out that any dispute any dispute or violence over a close result could spell a return to instability. Attractions include a booze cruise along the Zambezi River, canoeing among crocodiles on the calmer stretches, white river rafting on the wilder ones, a 300ft bungee jump off the spectacular Victoria Falls Bridge which links Zimbabwe with Zambia, and a terrifying 1,000ft zip line over the rapids.